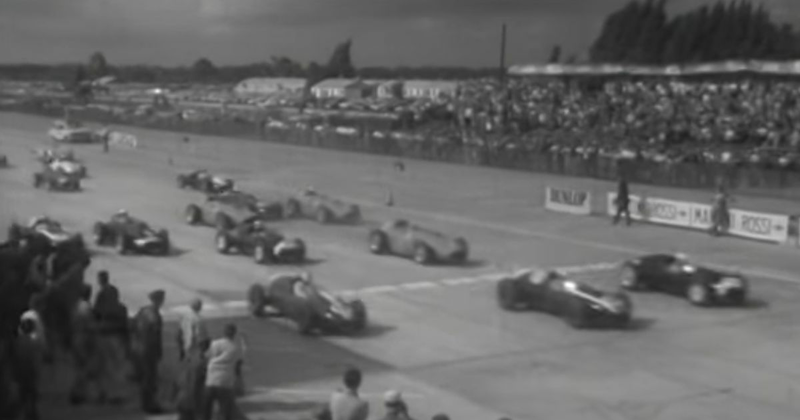 It was a three-way championship battle in the first US GP held at Sebring between Jack Brabham, Stirling Moss and Tony Brooks. Moss led from the start but his chances ended after just five laps when the gearbox on his Cooper broke. That left Brabham in a comfortable lead with teammate Bruce McLaren content to sit behind and act as a rear gunner. With Brooks running down the order, Brabham was basically assured of the championship when, exiting the last corner of the last lap, his car ran out of fuel. He waved McLaren ahead to take the win, which he did, becoming the youngest winner of a grand prix in the process - a record that wouldn’t be broken until Fernando Alonso won the 2003 Hungarian GP. Maurice Trintignant had been laying down a searing pace in the closing laps and finished a close second, in doing so becoming the last person in F1 to score a bonus point for setting the fastest lap. Brooks was a distant third and although it wasn’t enough for him to win the title, it didn’t stop Brabham from wanting to finish. He pushed his car along the pit straight and across the line to secure fourth place, his first championship, and the first constructors’ title for the Cooper team. There were a couple of other unusual occurrences during the weekend. American open-wheel racer Rodger Ward entered a dirt-track midget, reckoning that it would outperform the F1 cars around Sebring’s many corners. Amazingly, the car passed scrutineering but unsurprisingly, he was way off the pace - his qualifying time was some 43 seconds off of pole and even slower than a Porsche sportscar that was in the race (you’ve gotta love 50s F1). In qualifying, another American driver employed a bit of local knowledge. During a quiet part of the session, Harry Schell went out and set a time which suddenly jumped him from 11th to third on the grid. It turns out he’d found a shortcut out on the circuit and, during a quiet part of the session, actually used it on a fast lap. Amazingly, no one found out until after the race! Ken Kavanagh (born 1924) had a successful bike racing career in the 1950s and at the end of the decade tried his hand at F1. In 1958 he failed to qualify his Maserati 250F at Monaco and though he made the grid in Belgium later that year, his engine failed and he couldn’t take the start. An occasional driver, Renzo Zorzi (born 1946) started seven races between 1975 and 1977. His best result was a sixth place, driving a Shadow in the 1977 Brazilian GP. Emerson Fittipaldi (born 1946) made his debut with Lotus in 1970 and won in just his fourth start. In 1972 he won his first championship, becoming the youngest-ever champion (another record that Alonso would break) and in 1974 he followed it up with another title, this time driving for McLaren. In 1976 he made the disastrous decision to join his own Fittipaldi team and spent the next five years in the midfield, taking just two more podiums. At the end of 1980 he left F1 altogether and went on to have enormous success in IndyCar, winning a championship and two Indy 500s. Roelof Wunderink (born 1948) entered six races in 1975 driving an Ensign, but only qualified for three races. He retired from two of them was so far behind in the other that he wasn’t classified.